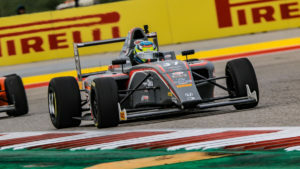 Before the F4 United States Championship Powered by Honda race weekend even began, Cook was a winner as she took top honors in the Infiniti Engineering Academy in her second attempt at the program. As a Mechanical Engineering graduate from Colorado University of Mines, Cook was announced as the Infiniti Engineering Academy 2018 USA winner by Renault F1 driver Nico Hulkenberg in the pit lane at the Circuit of the Americas (COTA) ahead of this past weekend’s United States Grand Prix. Competing against multiple engineering graduates, Cook was awarded a six-month work placement at the Renault F1 Team in Enstone and a further six months at Infiniti’s Technical Centre Europe in Cranfield. Following the potential life-changing announcement, Cook changed into driver mode as she saw action in her final race of the 2018 season. 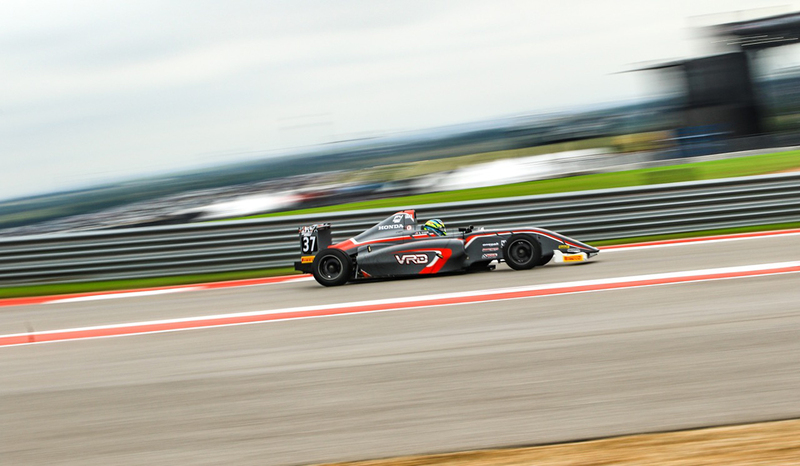 Teaming with the Velocity Racing Development program, the young female was looking to turn her experience into results at COTA. Forced to start race one from the tail of the field in the 33rd position, Cook put her experience to good use advancing 14 positions to end the race in 19th. With times from race one setting the grid for race two, the Colorado native was unable to get a clear lap to greatly improve her starting position, but Sunday morning she would launch from outside row 13. Starting race two from 26th, Cook had another double digit passing effort as she continued to show her prowess gaining 11 positions and closing her weekend and season with a 15th place result. For her efforts, Sabre was awarded the Sabelt America Hard Charger Award for passing more cars than any other driver in the field. Sabré extends a huge thank you to Enstrom Candies who joined her at COTA along with existing marketing partners Alpine Bank, Adcock Concrete, Apple Motorsports, COTA Karting, Aspen Equity Group, Bell Racing USA, Mesa Fitness and the Grand Junction Motor Speedway. For more information on Sabré Cook, please visit her website, www.SabreCookRacing.com. Also be sure to follow Sabré Cook via social media programs on Twitter, Instagram and Facebook by searching Sabré Cook or Sabré Cook Racing.